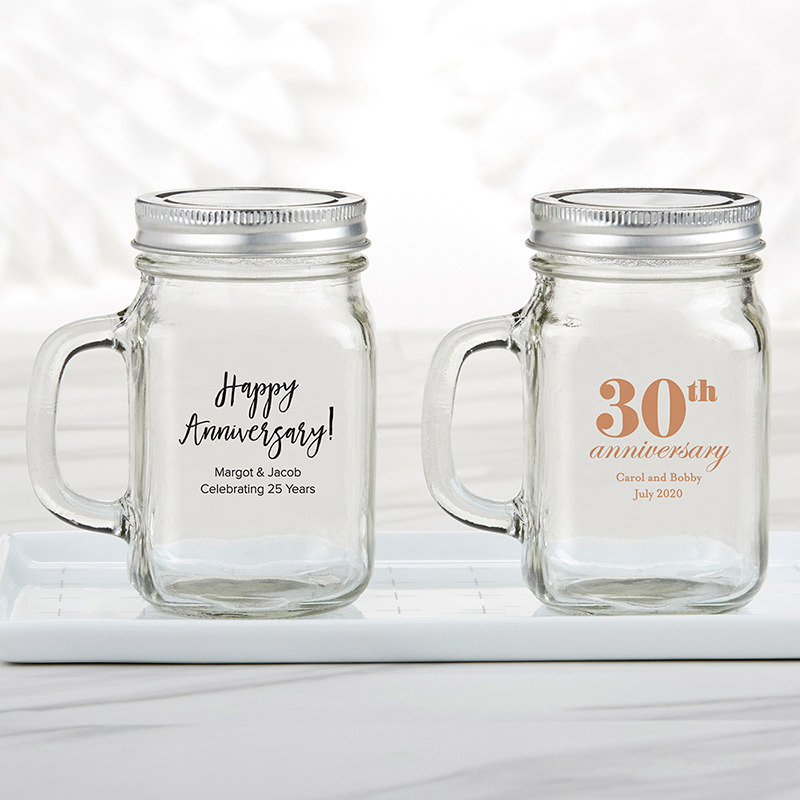 Make this year the best one yet with Kate Aspen's Anniversary Personalized 12 oz. Mason Jar Mug! These glassware favors make useful and attractive drinkware options, but that's not all they're good for. A metal screw top lid and glass handle adds to the rustic appeal, and gives the glass mason jar mug with handle the ability to hold small favors or themed décor stylishly. The Anniversary personalized design is placed on the front of each mug in a classic pad print.